Brent Atkinson (2015). Relationships and the neurobiology of resilience. In K. Skerrett & K. Fergus (Eds. ), Couple Resilience: Emerging Perspectives. NY: Springer, pp. 107-120. Brent Atkinson (2015). Mindfulness and the skillful navigation of relationships. Familiendynamik: Systemische Praxis und Forschung. 40(2), 106-117 (click here for English version). Brent Atkinson (2014). The great deception: We’re less in control than we think. Psychotherapy Networker Magazine, January 2014 issue. Brent Atkinson (2013). Mindfulness training and the cultivation of satisfying, secure couple relationships. Couple and Family Psychology: Research and Practice. 2(2), 73-94. Brent Atkinson (2012). Pragmatic/Experiential Therapy for Couples. In A. Rambo, C. West, A. Schooley & T. Boyd (Eds. ), Family Therapy Review: Contrasting Contemporary Models. New York: Routledge Taylor & Francis. Brent Atkinson (2011). Supplementing Couples Therapy with Methods for Reconditioning Emotional Habits. 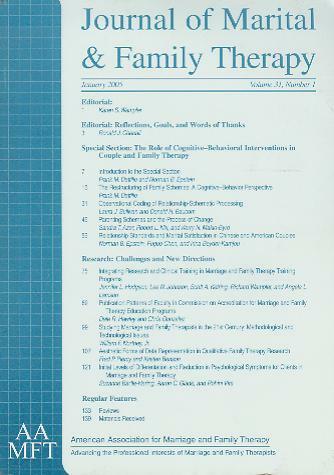 Family Therapy Magazine, 10(3), 28-32. Alexandria, VA: The American Association for Marriage and Family Therapy. Paul Weiss, Brent Atkinson, Ahna Young & Anna Larsen (2010). An Application of Pragmatic-Experiential Therapy for Couples. In D. Carlson & M. Casado-Kehoe (Eds. ), Case Studies in Couples Therapy: Theory-Based Approaches. New York: Routledge Taylor & Francis, pp. 249-261. Brent Atkinson (2010). Rewiring Emotional Habits: The Pragmatic/Experiential Method. In A. Gurman (Ed. ), Clinical Casebook of Couple Therapy. New York: Guilford Press, pp. 181-207. Brent Atkinson (2010). Interview with Brent Atkinson on the brain and intimacy. In A. J. Carlson & L. Sperry (Eds.). Recovering intimacy in love relationships: A clinician’s guide. New York: Routledge, pp. 233-247. Brent Atkinson (2007). Emotional Intelligence in Couples Therapy: An Interview with Brent J. Atkinson. Interview by MK Nieponski & J Duba-Onedera. The Family Journal, 15(4), 420-426. Brent Atkinson. (1998). Optimistic outlook for LMFTs in Illinois. Illinois Family Therapist, 19, 1-2. Brent Atkinson. (1997). The profession of marriage and family therapy. Illinois Family Therapist, 18(2), 2. Brent Atkinson. (1997). What is the difference between personal therapy and person-of-the-therapist supervision. In C. Storm & T. Todd (Eds. ), The reasonably complete systemic supervisor resource guide. Needham Heights, Mass: Allyn-Bacon, pp. 152-154. Brent Atkinson. (1997). Informed consent form. In C. Storm and T. Todd (Eds. ), The reasonably complete systemic supervisor resource guide. Boston: Allyn-bacon Publisher, in press, pp. 11-15. Brent Atkinson. (1997). Risks and safeguards in person-of-the-therapist supervision. The Supervision Bulletin, 9(3), 4-5. Brent Atkinson. (1996). IAMFT adopts new governance model. Illinois Family Therapist, 17(1), 1-2. Brent Atkinson. (1993). Hierarchy: The imbalance of risk. Family Process, 32, 167-170. Brent Atkinson. (1992). Aesthetics and pragmatics of family therapy revisited. Journal of Marital and Family Therapy, 18, 389-393. Brent Atkinson. (1992). Evaluating qualitative research. AFTA Newsletter, 47, 15-18. Heath, A., & Atkinson, B. (1992). Guest editors’ introduction to the special issue on qualitative research. AFTA Newsletter, 47, 5. Brent Atkinson., Heath, A., & Chenail, R. (1991). Qualitative research and the legitimization of knowledge. Journal of Marital and Family Therapy, 17(2), 161-166. Brent Atkinson, & Heath, A. (1990). Disadvantages of problem resolution: An extended conversation in therapy. Journal of Strategic and Systemic Therapies, 9(4), 34-46. Brent Atkinson, & Heath, A. (1990). The limits of explanation and evaluation. Family Process, 29(2), 164-167. Brent Atkinson, & Heath, A. (1990). Further thoughts on second-order family therapy (This time it’s personal). Family Process, 29(2), 145-155. Heath, A., & Atkinson, B. (1989). Solutions attempted and considered: Broadening assessment in brief therapy. Journal of Strategic and Systemic Therapies, 8(3), 56-57. Heath, A., & Atkinson, B. (1988). Systemic treatment of substance abuse: A graduate course. Journal of Marital and Family Therapy, 14(4), 411-418. Heath, A., McKenna, B., & Atkinson, B. (1988). Toward the identification of variables for evaluating family therapy workshops. Journal of Martial and Family Therapy, 14(3), 267-276. Brent Atkinson, & McKenzie, P. (1987). Family therapy with adolescent offenders: A collaborative treatment strategy. American Journal of Family Therapy, 15(4), 303-312. Brent Atkinson, & Bailey, A. (1987). Family physician as strategic consultant. Journal of Strategic and Systemic Therapies, 6(2), 74-75. Brent Atkinson, & Heath, A. (1987). Beyond objectivism and relativism: Implications for family therapy research. Journal of Strategic and Systemic Therapies, 6(1), 8-18. McKenzie, P., Atkinson, B., Quinn, W., & Heath, A. (1986). Training and supervision in marriage and family therapy: A national survey. American Journal of Family Therapy, 14(4), 293-303. Keeney, B., Thomas, F., Strano, J., Ridenour, N., Morris, J., McKenzie, P., Hood, C., Denmann, D., & Atkinson, B. (1987). Cybernetic approaches to weight control. In J. Harkaway (Ed. ), Eating disorders. Rockville, Maryland: Aspen Publications, pp. 84-92. Keeney, B., McKenzie, P., Atkinson, B., Denmann, D., Morris, J., Ridenour, N., Strano, J., & Thomas, F. (1987). A constructivist approach to clinical training. In B. Keeney (Ed. ), Konstruktion therapeutischer wirklichkeiten: Praxis und theorie systemicscher therapie. (Tr. : Constructing therapeutic realities: Theory and practice of systemic therapies. Dortmund: Verlag Modernes Lernen, pp. 51-69. Brent Atkinson, & Bailey, A. (1985). Teaching counseling skills to family practice residents: A proposal. Working Together, 1(2), 17. Brent Atkinson, & McKenzie, P. (1985). One perspective on the researcher/practitioner dichotomy. Family Therapy News, 16, 4. Quinn, W., Atkinson, B., & Hood, J. (1985). The stuck case clinic as a group supervision model. Journal of Marital and Family Therapy, 11(1), 67-73. Brent Atkinson, McKenzie, P., & Keeney, B. (1985). The Multiple Vantage Profile: A computerized assessment of social interaction in family therapy. Journal of Psychotherapy and the Family, 1, 133-152. Brent Atkinson, McKenzie, P., & Keeney, B. (1985). The Multiple Vantage Profile: A computerized assessment of social interaction in family therapy. In C. Figley (Ed. ), Computers in Family Therapy. New York: Hawthorn Press. Brent Atkinson, & McKenzie, P. (1984). Jack of all trades: Master of one: A model for doctoral training in family therapy. Family Therapy News, 15, 4. Brent Atkinson, & McKenzie, P. (1984). The Personalized Spouse Observation Checklist: A computer-generated assessment of marital interaction. Journal of Marital and Family Therapy, 10(4), 427-429.